It was pretty hectic in the weeks leading buy brand viagra up to my trip, and then I was on the go from day to day, with little access to the outside world. Will definitely fill in the details, but just wanted to say that I'm here. The bust of Mr. Darcy (Matthew Macfadyen) as featured in the brand viagra online latest adaptation of Pride & Prejudice. Sculpture gallery, Chatsworth House, Devonshire. I was getting ready this morning, walking about order brand viagra the apartment when I heard bits from the radio. London. Heathrow. Transatlantic flights. The news didn't really sink in at first. Then I felt relief that things had been stopped in the nick of time. I'd been disappointed that I didn't have a few more days in London after my tour, but I'm grateful that I kept such a tight schedule. The inconveniences I experienced are nowhere near what people are going through now. I'm concerned about friends who are still traveling and brand viagra mastercard caught up in the delays, so I hope to hear from them soon. In my toiletry kit I carry a hair cream product called Secret Weapon. Somehow I don't think that would have been too amusing to security officials. I've finally committed to a Flickr pro subscription. There's now a set for buy brand viagra pictures from my trip here. Hopefully I should have everything uploaded during the weekend. Cheers! Spotted this sign in Midtown on the way to order brand viagra the Landmark for a movie (Sympathy for Lady Vengeance) with Mary and Andrew. Totally uplifting movie, by the way. My friend Mike has passed away. You may have known brand viagra online him as the blogger Little Toy Robot, or LTR, as he signed himself in the comments. We met in grad school. 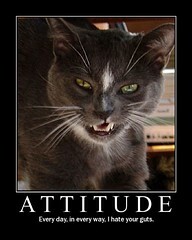 He sat in the row behind me in our web design class and saw me working on my blog. He left me a comment, I realized I'd been discovered, and we've been friends ever since. I was really excited when he moved down to Atlanta from New York. We got to know each other better and hung out together a lot. We'd all send each other emails to plan our next outing and the thread would drag on for at least 20 messages, easy. We often caught movies together with our friend Carol and met up regularly for brunch and other meals. Even if the movies were awful - the worst, by mutual agreement, was Van Helsing - it was always fun to hang out together. There was the night for the shift to Daylight Savings, which we celebrated by staying up late and getting "HOT NOW" doughnuts at the Krispy Kreme on Ponce. I was looking forward to hyping up Snakes on a Plane with him. I hadn't seen him on IM in the past few days, which I thought was kind of weird. Even if we didn't always chat, it was nice to see his name on my buddy list. I was on IM with Carol. We wondered whether to get in touch with brand viagra his family, when she got a call from Mike's dad. Moments later, when I saw Mike's name appear on my cellphone, I knew who would be on the other line. Mike loved dairy products. He drank milk like it was water. But he was always good for a beer as well. We spent Christmas Eve together his first year in Atlanta. We had seafood at Six Feet Under, sharing blackened alligator for the appetizer. After dinner we met up at Murphy's for coffee and dessert. It was one of the best holidays I have spent. I don't really make the distinction between friends and family. My friends are my family. We were mutual media junkies, telling each other about the books we were reading and making music recommendations to each other. It was Mike who lent me his copy of The Amazing Adventures of Kavalier & Clay, a book I absolutely love. Some of our outings involved checking out a bookstore or a music shop or a record show. He was the one who told me where to find the new hardcover of Jonathan Strange & Mr. Norrell back before the book was supposed to be available. We went together to see brand viagra mastercard the author, Susanna Clarke, do a reading and a Q&A, as well as sign our books, over at the Margaret Mitchell House. Mike told me I should check out a band called The National, which I hadn't gotten around to yet. But I will. He also told me, right before I left for my trip to England, that the new album from The Long Winters was coming out, so I was looking forward to checking that out as well. Mike moved up to Chicago late last summer. I was sorry to see him go, but happy for his new opportunities. I knew we'd see him again, because we tend to visit Chicago pretty regularly. But I still would miss having him practically right down the road. A bunch of us got together for a last hurrah before he left town. There were dinner and drinks at Manuel's, then we went over to his place in Virginia-Highland and stayed up really late, getting just a little more drunk and playing Apples to Apples. We last got together in early January. We took the train into downtown Chicago, meeting him at his apartment building. We saw his place on the 48th floor and buy brand viagra enjoyed the views. Went back out to get some dinner and catch a movie. Dinner was burgers at P.J. Clarke's. Afterwards, to kill time, we got some coffee & dessert at a nearby gourmet shop. Our movie choice was between Chronicles of Narnia and Match Point - afterwards we agreed we should have seen Match Point. We took a cab back to Mike's place, dropped him off, and took our train back to the suburbs. For anyone who's finding out this way, I am sorry. Mike's dad - who sounds very much like him - gave me his cellphone number, so if you would like to reach the family, please send me brand viagra an email. Images from my England trip are now uploaded. My Flickr set can be found here. 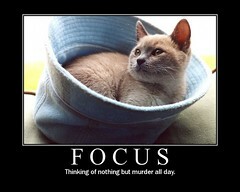 I seem to have taken many pictures of great houses, gardens and animals, but not so many of people. 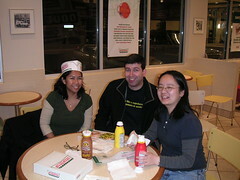 Me, Mike, Carol at the Krispy Kreme on Ponce, 2004. Sometimes I wonder why I bother buying movies. Inevitably there's some special edition that comes out after I've picked up a copy on DVD. Mostly I buy my movies used so it's not that big of a deal, but still. I really should just take advantage of my Netflix subscription instead of trying to build up a library. Of course, we are talking about Lady Crumpet, Media Junkie, so it's a nice thought at any rate. The most recent examples are Princess Bride (the Dread Pirate and Buttercup editions) and Pretty in Pink, which is coming out in a week as the Everything's Duckie Edition. There's a great Entertainment Weekly interview with Jon Cryer. The original ending called for Andie to stay with Duckie at the prom, dancing to "Heroes" by David Bowie. Thank goodness they changed it. Duckie is Andie's best friend. He's certainly boyfriend material, but he's not the one for Andie. Besides, Blane is played by Andrew "Dreamy Eyes" McCarthy - they are so meant for each other in this 80s teen fairy tale. Of course it's these kinds of movies that totally messed me up for real-life romance. But fortunately I managed to find my own Duckie. "Something to do with marketing - and something about grasshopper and butterfly." Ok, I did get a little more information. I was also given the name of the publication, and a rough time frame ("last three months or so"). So that gave me some pointers as to where to look for the article. Fortunately, our subscription allows us online access, and by searching for "grasshopper" and then "butterfly" - just to be thorough - I found the article the attorney needed.